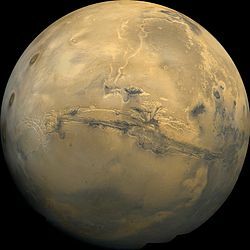 This is the category for Mars, the fourth planet from the Sun, in the solar system. Global mosaic of images by Viking 1 Orbiter in 1980. This page was last edited on 20 May 2018, at 17:07.